Industrial chic. Richly bohemian. Romantic and fresh. Orly Khon, formerly of Tangerine Creations, can weave a floral theme for any romance—blooms springing from driftwood, succulents beneath glass cloches, blossom chains. She’s also a weather watcher, keeping track of how our crazy climate affects flowers and making appropriate (read: calming) modifications. 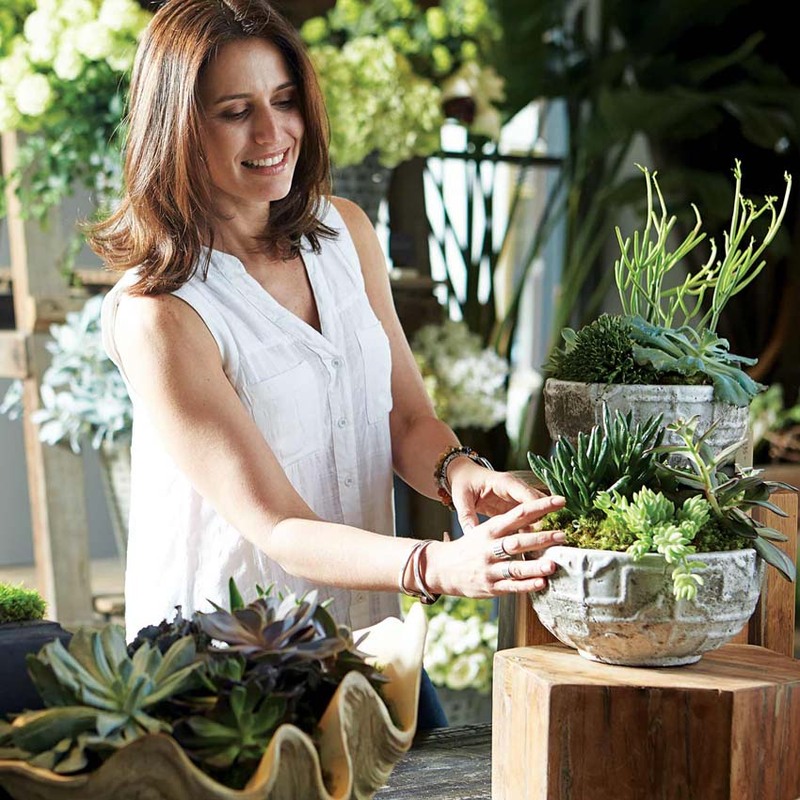 And with a retail store inside the Restoration Hardware flagship and a studio close to the Boston Flower Exchange, Khon has a garden of local inspiration at her fingertips.